AUTOMOBILE SPARE PARTS MARKET - SHARJAH; CAR SPARE PARTS IN SHARJAH; AUTO ACCESSORIES IN SHARJAH; JAPANESE CAR SPARE PARTS IN SAHRJAH; AMERICAN CAR SPARE PARTS IN SHARJAH; CAR DEALERS IN SHARJAH; CAR SPARE PARTS DEALERS IN SHARJAH; AUTOMOBILE INDUSTRY SHARJAH; AUTO SPARE PARTS IN SHARJAH; VEHICLE PARTS IN SHARJAH; AUTO MOBILE CAR SPARE PARTS IN SHARJAH; TRUCK SPARE PARTS IN SHARJAH; SPARE PARTS IN SHARJAH; AUTO BODY PARTS IN SHARJAH; USED CAR SPARE PARTS IN SHARJAH; USE AUTO ACCESSORIES IN SHARJAH; USED AUTO PARTS IN SHARJAH; NISSAN, SUNNY, COROLLA, FORTUNER, HILUX, INNOVA, CAMRY, PARADO, RARIS, LAND CRUISER, LEXUS, MAZDA, TOYOTA, FORD RANGER, MAZDA B-SERIES, TOYOTA 4 RUNNER, TOYOTA HIACE, FIAT, FORD USA, HONDA, OPEL, VAUXHALL, VOLVO, MANN, DAIHATSU, FIAT SEDIC, SEBER JUSTY, TOYOTA CELICA, VW TARO, DAIHATSU ROCKY, NISSAN DATSUN, TOYOTA DYNA, PEUGOT, PORSAHE, CHRYSLERM, SUZUKI, VOLKSWAGEN, TOYOTA LITEACE, TOYOTA STARLET, ISUZU KIA, SUBARU, LOTUS ESPRIT, TOYOTA CARINA, HYUNDAI H-1, HYUNDAI STAREX, KIA CARNIVAL, KIA PREGIO, ACURA, INFINITI, RENAULT, VAUXHALL, CHRYSLER, ACTROSS, ACURA, KIA, TOYOTA LAND CRUISER, TOYOTA HILUX, TOYOTA LEXUS GS, MAZDA XEDOS, TOYOTA AURIS, TOYOTA MR 2, TOYOTA RAV 4, PONTIAC, TOYOTA RAV, TOYOTA LEXUS IS, DAIHATSU, TOYOTA PREVIA, MITSUBISHI 2000. 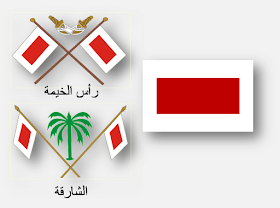 KHALID AL HAMMADI AUTO SPARE PARTS Co LLC: The leading Company in ‘Genuine Auto Spare Parts‘ has been actively involved in the automotive spare parts market for the past 20 years : We are the authorized dealers of all agency brands for (GENUINE SPARE PARTS) TOYOTA, LEXUS, NISSAN, INFINITY, MITSUBISHI, HONDA, SUZUKI, ISUZU, & SUBARU. AMRUCA AL SHIMALYA - Wholesaller & Retailer, (Toyota, Mazda, Nissan, Honda, Mitsubishi, Isuzu, Suzuki, Hyundai, Daewoo, Body Parts, All Kind of Petrol & Diesel Engine Parts; Contact : 050 - 5656609, -55 - 8793080, Tel: 06 - 5396284, Fax: 06 - 5396285, P.O. 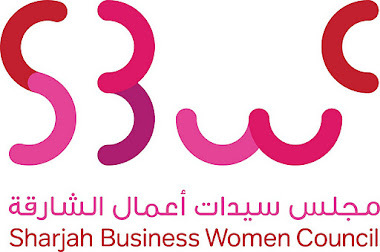 Box: 38259, BMW Road, Sharjah, UAE (United Arab Emirates). CALL : 055 - 2388457, ----- Tel : 06 - 5320346, Fax : 06 - 5396295, P.O. Box : 37298, BMW Road, Sharjah, UAE. Tel: 06 - 5395170, Mobile : 050 - 9371544; B.M.W. Road, Naser Building, Sharjah, U.A.E. Address: Industrial Area #2, Etisalat Building Road, Sharjah - U.A.E., Ph: +971 6 5322813, Fax: +971 6 5322815, P.O. Box: 68238, Website : http://www.marwatautos.com email: pknissan@yahoo.com. AL MUMTAZ (Heavy Eqpt. Spare Parts Tr.) - All Kind of Heavy Trucks & Trailer Spare Parts, - Mercedes, VOLVO, SCANIA, MAN, BPW, ROR, YORK, GORICA, MAHLEGLYCO, elring, LASO, Hengst, SACHS SKF, BOSCH, HELLA, FRASLE, BERAL, TEXTAR, TVS-FAG, Febi Bllstein, TRUKTECH, DIESEL TECHNIC Euroricambi, (Mob: 050 - 23416200); Tel: 06 - 5351405, Fax: 06- 5351406, P.O. Box : 150013, Sharjah - U.A.E., email: almumtazparts@gmail.com. DUBAI CONTACT : - Telephone No. +971 - 04 - 2228681, Fax No. : +971 - 04 - 2228628, P.O. BOX No. 171208, Dubai, U.A.E. 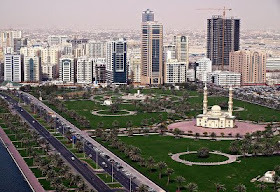 SHARJAH CONTACT : Telephone No. +971 - 06 - 5324919, Fax : +971 - 06 - 5324911, Sharjah, P.O. Box No. - 22889, U.A.E. Contact Person: Biju Kumar (Senior Sales Executive); Tel: (04) 2223474, Fax: (04) 2228522; P.O. Box: 4831, Dubai, U.A.E., email: biju@alamaniuae.ae; website: www.alamani.com. MHS International - (A Leading Manufacturer and Supplier of Automotive Batteries, Oil Fuel and Air Filters in Dubai Sharjah U.A.E. Al Noor Auto Parts Est. 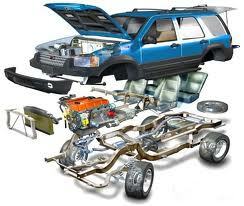 - Genuine and Replacement Land Rover, Range Rover, Discovery, Rover, Jaguar, BMW, Mercedese Benz Parts and Accessories. This information is very helpful and It is dedicated to bringing, Plough Hub parts into the automotive industry. 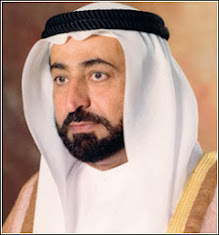 Thanks Windsor Exports... We are trying to make this Blog Better, it is a Free Business Directory for Sharjah, Thanks. Thank you I appreciate the blog. I read your blog and got useful information on Transmission and gears along with clutch, similar information could be found on Windsor’s blog. Thanks Windsor Exports : We are trying our best to improve this Blog Web Link. I am looking for used instrument clusters in perfect working condition of Ford Ranger model 2004-2006 manual transmission. Its really good to know the names of autoparts dealers but you have missed one name that is " Right Way Auto Parts " who has been selling & purchasing genuine auto parts for auto mobiles for over 20 years. 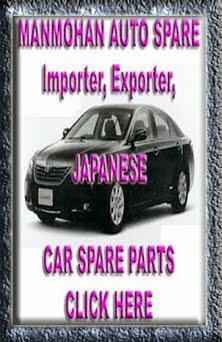 Number of quality auto spare parts exporters and manufacturers can easily be searched here. We are from China, exporting Genuine and after-market auto parts to UAE. Hope to find a way to cooperate with you. Send us the mail to send the enquiry list. Looking for an axles for mazda 3 -2009 model. I am looking for Nissan model 2008 Qashqai used or second hand dicky door. if anyone know please let me know. mob 0553871798. I need a Mercedes A160 Steering Cylinder. May someone help me in this case please. I like your post. Thanks for sharing this information. Brisbane Wreckers - Car Spare Parts and Car Recycling Brisbane offers you the cash for cars and affordable second hand part shopping experience. Whether you want a spare car part or want to sell your junk car, you won’t be disappointed with us. when do you do when you have a chance to join in holidays to Burma? The best way to learn about a nation’s culture is visiting this nation at their holidays, especially the New Year holiday. Maybe you think Myanmar hold their New Year festival at the same time as other nation in Asia (according to the Lunar Calendar) but, actually, they usually welcome the New Year in mid-April, from 13/4 to 17/4. A water-splashing festival is held, they call it is Thingyan. The locals come down the streets, they are splashing water at each other while dancing and singing their traditional song. According to the Burmese point of view, water can bring them the lucks for the new year, and wash the bad luck of the last year. A1 Wreckers Spare Parts Of Car and Car Removals Brisbane offers you the cash for cars and affordable second hand part shopping experience. Whether you want a spare car part or want to sell your junk car, you won’t be disappointed with us. 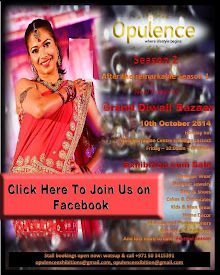 Thanks for sharing.. Nice Blog..